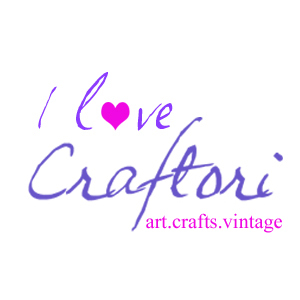 I'm so chuffed to say I am consistantly achieving 5* reviews from my customers on etsy.com. Here are a few recent ones. I love this black velvet bracelet, which looks even better in person than the web picture if that's possible! Can be dressy or casual, but I see lots of use with velvet outfits over the holidays! Thanks so much for this great item! Perfect. And I must add, I live on the west coast of US & received from UK in only 7 days. Impressive! Nice. So light and comfortable to wear. Blue cube, Hoop Silver Earrings. A beautiful card made all the better by the personal note enclosed with a little free gift. Gorgeous! Beaded Greetings Card, Unique Handcrafted Heart, OOAK, Red or Blue Any Occasion, Card Art. Precious and very dainty earrings I am thrilled with. This is a great vendor with some beautiful items (I also purchased the velvet wraparound bracelet) and ships quickly (received in 7 days to US from UK). Thank you so much!! So, I lost one of my favorite earrings and wanted to replace them. I sent Lisa a picture of my old earrings and she went out of her way to order the right wire and beads to make exaxtly what I wanted! She did it all within days of when I first wrote her! And they are seriously even better than the originals!! She's absolutely amazing to work with and extremely talented. I couldn't be more happy! Such a lovely human! Thank you thank you thank you!